There are various squash types around. Not all used for culinary purposes. Squashes are native to Mexico and Central America although they can now be found in many countries around the world. In the UK, squashes are known as marrows. Pumpkin, zucchini, acorn squash and butternut squash all fall under the category of squash. In North America, squashes are divided into two main groups: summer and winter squashes. This categorization depends on when the vegetable is harvested. When squash is harvested while it is still unripe, it is known as summer squash. Winter squash is the name given to squash that has been harvested after it has matured. Zucchini, yellow or crookneck squash and pattypan squash are all summer squash. They are harvested while their skins are still tender and the fruit is yet to mature. They require very minimal cooking and may even be eaten raw. While cooking summer squash you should steam them or use a quick cooking method else you may spoil their delicate flavor and texture. Summer squash have a much shorter shelf life than winter squash. 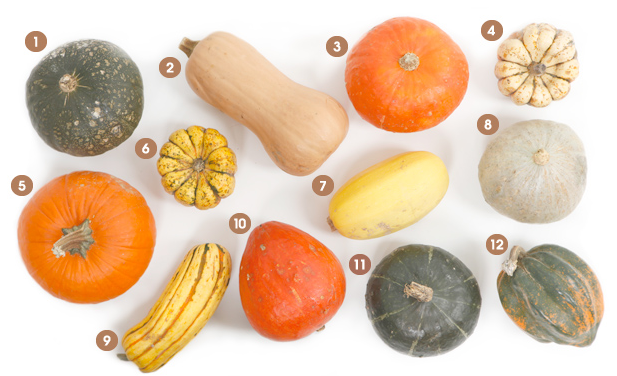 Winter squash includes spaghetti squash, butternut squash, buttercup squash, Hubbard, acorn, amber cup and pumpkin. This kind of squash is usually harvested at the end of summer when the fruits are ripe and have fully matured. The harvest season for winter squash in the Northern Hemisphere is around September-October. After harvest, the squash is stored in a cool place so that it can be eaten later. This curing process makes the skin of the vegetable even harder. This is why winter squash needs to be cooked longer as compared to summer squash. In Australia, India and several other countries, winter squash is known as pumpkin. Winter squash is considered highly nutritious as it contains vitamins A, B1, B3, B5, B6 and C, manganese, potassium, dietary fiber, folate, copper, omega 3 fatty acids, tryptophan, iron, niacin and beta carotene. The darker the skin of the squash, the more beta carotene it is said to contain. Acorn squash contains the least amount of beta carotene among winter squashes. Spaghetti squash on the other hand is said to be highly nutritious apart from being low calorie. 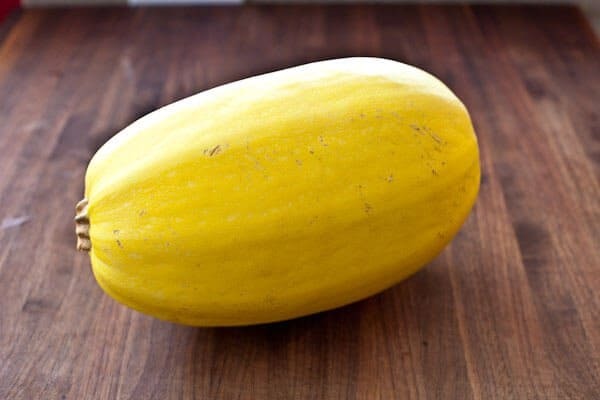 One cup of spaghetti squash contains only 42 calories on an average. This is why it is regarded as a good substitute for pasta, potatoes and other high calorie foods. While cooking winter squash, the skin is usually discarded. The flesh is eaten boiled, baked, microwaved or sautéed. Winter squash is typically made into soup. It can also be used as a pie filling or for making savory casseroles. Butternut squash, which is similar in texture and taste to pumpkin, can be made into bread or curried and served with rice. The seeds of the squash are often thrown away while cooking. However, the seeds can be roasted and eaten. The usual way to cook winter squash is to halve the squash, discard the seeds and then bake the squash halves at 400°F for about an hour. The other option is to bake the squash whole first, then cut it open, deseed it and scoop out the flesh. Squash can be categorized as summer squash or winter squash depending on when it is harvested. When the fruits are harvested while they are still not mature, they are known as summer squashes. Winter squash is harvested once the fruits are mature, usually at the end of summer. Zucchini and yellow squash are among the most popular varieties of summer squash. Winter squash includes acorn squash, butternut squash and spaghetti squash. Zucchini is a small-sized summer squash that is usually yellow or green in color. They resemble ridged cucumbers. Zucchinis are called courgettes in France, New Zealand, UK, the Netherlands, Portugal and South Africa. In cooking terminology, zucchini is considered a vegetable. However, botanists regard zucchini to be an unripe fruit since it is essentially the ovary of a female flower. Zucchini that has soft and unripe seeds and is less than 20 cm in length is eaten as a fruit. Ripe zucchini can be as long as three feet but is often fibrous, which makes it inedible. Even unripe zucchini is cooked before eating. You can prepare zucchini using several different methods such as boiling, grilling, baking, frying or barbecuing. Zucchini has a very mild flavor so in order to keep this taste intact, it requires quick cooking. The skin is usually left intact. Raw zucchini can be eaten in salads. Yellow squash is a variety of summer squash and gets its name from its yellow color. This squash grows on vines and is picked when it is between 2-3 feet in length. It has a soft skin which is generally left intact while cooking it. Yellow squash can be eaten fried, steamed, baked or microwaved. This summer squash variety is available throughout the year though its peak season is early to late summer. Acorn squash is a dark green colored winter squash with distinctive ridges on its outer skin. Its flesh ranges from yellow to orange. This kind of squash gets its name from its shape, which resembles that of an acorn. Acorn squash are ready to be picked approximately 85 days after they germinate. After harvesting, acorn squash are cured for a week to 10 days in a warm and dry place, away from frost. During winters they can be stored in a dry place such as a cellar. Acorn squash is usually eaten after it is baked. However, it can also be steamed, sautéed or microwaved. The seeds are roasted and eaten. Acorn squash is not as high in beta carotene as other winter squash. 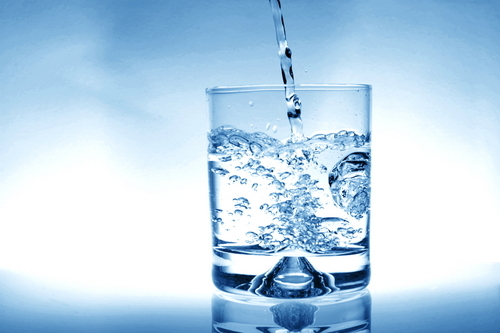 However, it does contain potassium, dietary fiber, vitamins B and C and other nutrients. Butternut squash is a winter squash that is quite similar to pumpkin. It has a sweet taste and its flesh is orange while its skin is yellow. The more it ripens, the sweeter it gets. Butternut squash grows on a vine. The Waltham Butternut is the most popular variety of this squash. In Australia, butternut squash is considered a pumpkin. In South America, butternut squash is most commonly used in soups or cooked with spices like cinnamon and nutmeg. Butternut squash is usually roasted or mashed and used in soups, casseroles, breads etc. Butternut squash contains high amounts of fiber, vitamins A and C, manganese, magnesium and potassium. Spaghetti squash may also be called noodle squash or vegetable spaghetti. In UK, this kind of squash is known as spaghetti marrow while in Japan it is called gold string melon. The Chinese refer to it as the fish fin melon. The color of a spaghetti squash can be ivory, yellow, orange or even green with white streaks. The flesh of the squash ranges between bright yellow, orange and white depending on the color of the outer skin. In its raw form, the flesh is solid. However, once this squash is cooked, the flesh easily separates out into spaghetti-like strands. This is what gives this squash its name. This variety of squash is available all year round although its peak season is in fall. It can be stored at room temperature for up to three weeks. 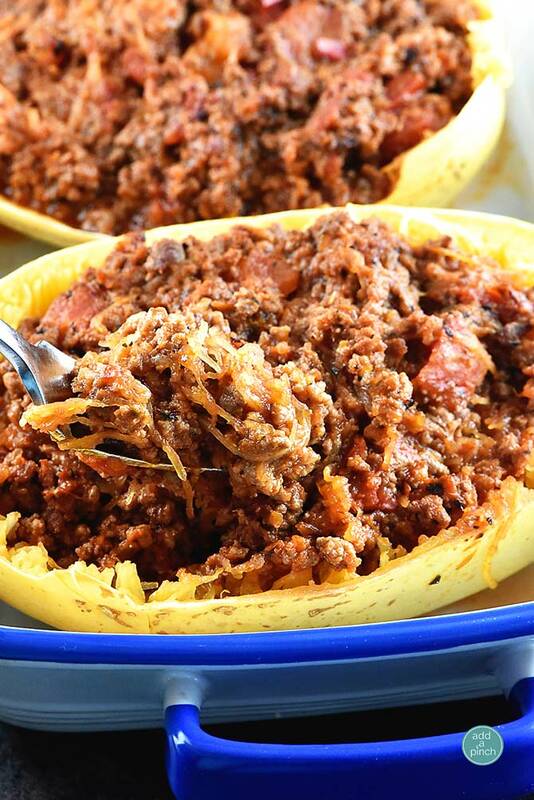 Spaghetti squash is extremely nutritious and is packed with folic acid, vitamin A, potassium and beta carotene. The method for cooking squash largely depends on the type of squash you are cooking. If you are cooking acorn squash for instance, start by cutting the squash open and getting rid of the seeds and fibers from its center. You can keep the seeds aside, toast them and eat them much like pumpkin seeds. It is difficult to peel an acorn squash but you can use it as a shell for stuffing it with various kinds of fillings. If you want to use just the pulp, you will need to cook the squash and then scoop out the flesh. Boiling acorn squash is not a good idea as it spoils the taste as well as the flavor. Baking is the recommended method of cooking acorn squash. To bake acorn squash, halve the squash and bake it at 400°F for an hour. You can also microwave acorn squash by placing the squash halves on High for 12 minutes. You don’t need to add any water while microwaving. To cook acorn squash whole, make several slits in the skin. Place the squash on a baking sheet and bake in the oven at 350°F for about an hour. Press the squash to check if it is done. You’ll know the squash is cooked when it yields even when pressed gently. Now you can cut it in half lengthwise, remove the seeds and scoop out the cooked flesh. If you find that the cooked squash is fibrous, beat it with an electric mixer for 10 seconds a on a high setting and then on a low setting for 60 seconds. The fibers will wrap around the beater, and you can then remove them easily. Please note also the simple acorn squash recipe and roasted acorn squash recipe. 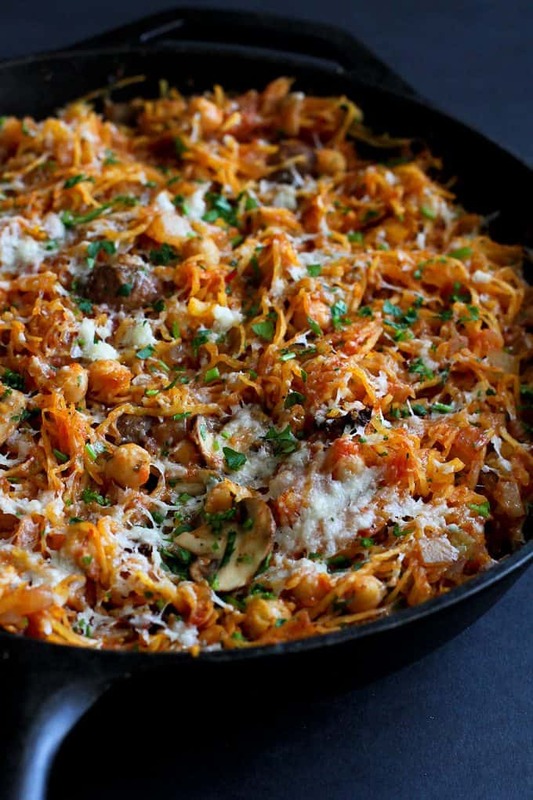 Butternut squash and spaghetti squash are among the most versatile winter squashes. Butternut squash lends itself to soups because of its flavor and texture. Pureed butternut squash can be used for making delicious pies. Chunks of butternut squash can be cooked with Indian spices like garam masala to make curry. 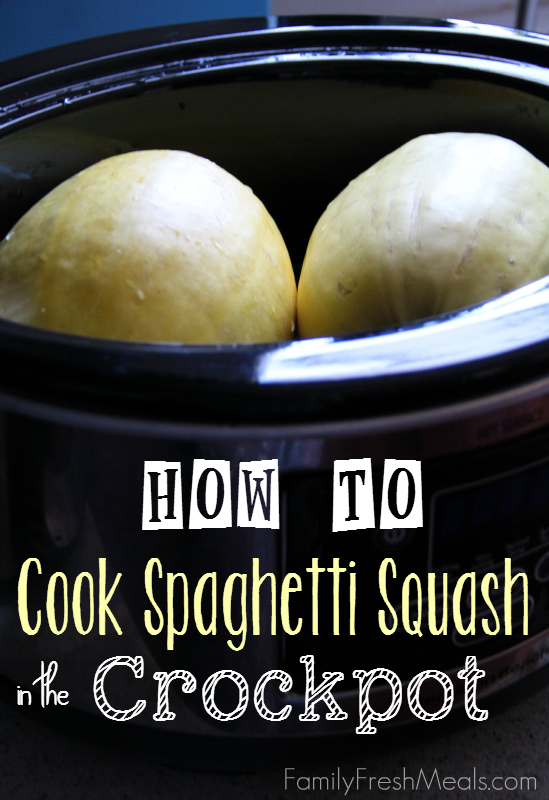 Spaghetti squash can be cooked with pasta or with chicken or used to make a savory casserole. You can create a variety of fillings with mashed spaghetti squash, Parmesan cheese, mushroom etc and stuff the scooped out squash shells with these. Zucchini is the most common variety of summer squash. Before cooking zucchini, you may want to drain it of water. Slice the zucchini and place it on a dish or tray. Sprinkle coarse salt on the zucchini slices and allow them to stand for 30 minutes. Now drain out the excess water which will have seeped out of the zucchini. Pat the zucchini slices dry and then move on to your recipe. Since zucchini has a high water content it is best suited for quick cooking or steaming. You normally would not need to add extra water to steam zucchini. One pound of zucchini will give you about 3 cups of chopped zucchini. You do not need to deseed zucchini or even peel it. If zucchini is really fresh and tender, it can even be eaten raw in salads. Just make sure you remove the stem end. Squash majorly comes in two categories, a winter squash and a summer squash. 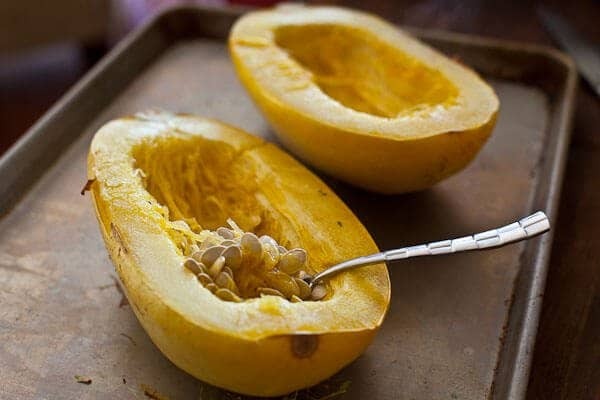 If you want to make a spaghetti squash then you have the pleasure to deal with a typical winter squash that is more mature, high in vitamin A, potassium and carbohydrates. It has no cholesterol and very little fat, so it is definitely a better alternative to have spaghetti squash than the Italian spaghetti. It has no relation to pasta, but it is called spaghetti because you can make our strands of squash that look like the Italian, well, let’s say fast food. The first task is the most difficult task but you can do it without facing too much difficulty by exerting the right pressure on the squash. First put the spaghetti squash on a hard board because over exertion could cause scratches on your kitchen table. You will need a standard chef’s knife and use the end to pierce through the center of the squash straight all the way down. Hold the squash from one end and tilt the blade in the opposite direction until it lies flat on the cutting board. Follow the same technique to cut the other semi-circle and now you will have the squash in two equal sides. The insides of the squash, apart from the outlining thick flesh, are not good for digestion. Use a large spoon to pick out the insides neatly and put them away. Preheat your oven to 350F and put one half of the squash on each casserole dish. Add a little bit of water that will be enough to submerge the outlines of the squash. The water helps to maintain moisture. Put them in the oven for about an hour so they will be ready for preparing spaghetti. Notice that the squash is now soft and warm. Use a fork to dig the flesh and you will notice how strands will peel out along with the fork. These strands are the spaghetti that you will be preparing. Since the squash is wet, the strands will be sticky but they are now ready to eat. Usually people like having it directly from the squash since it gives a fresh-out-of-the-oven impression, and you can use it to serve it to your guest. If you would like to add some taste, you can add some vegetable pasta sauce on it right after you have prepared the noodles. You can add parmesan cheese to give it a look of a perfect substitute for pasta. You can separate the noodles from the squash skin and put it in a bucket for convenience or taking it out for your next meal and you can reheat it to keep it soft and good to eat. Instead of the usual meat and pasta combination how about pasta with spaghetti squash? Spaghetti squash is high on beta carotene, vitamins and minerals and is a great ingredient for healthier and more flavorful pasta. Halve the squash lengthwise. Remove seeds and discard them. Place the squash, cut face down in a baking pan. Pour in 1 inch water into the pan. Bake for about 1 1/2 hours or until a fork can easily pierce the squash. Remove from pan and set aside to cool. Once the squash has cooled scoop out the flesh with a fork so that it separates into strands. Cook the pasta as per the directions on the packet. Drain thoroughly and set aside. Heat 1 tablespoon of olive oil in a large skillet over a moderate heat. Add in the onion, garlic and red pepper flakes and cook until the onion turns translucent. Add the tomatoes and squash strands. Cook until the squash begins to brown. Pour in the balsamic vinegar and remaining olive oil and cook till the olive oil is warmed. Season with salt and pepper. Combine the pasta and the skillet mixture and toss lightly. Add in the cheese and toss well before serving. For making Spaghetti Squash with Pasta, you can use Pecorino Romano cheese instead of Parmesan. Learn more about Pasta at Pasta Salad Recipe. You can’t get healthier than this! A gluten-free, vegan spaghetti squash recipe that makes a great supper or a wonderful side dish. Preheat the oven to 400°F. Cut the squash into half, lengthwise and place cut face up in a roasting pan. Season with sea salt and pepper, olive oil, cumin and chili powder. Pour in about two inches of water to the pan so that the squash does not stick to the pan. Roast for about 60 minutes in the oven or until a fork can be easily inserted into the squash. Once the squash is done, set it aside it and allow it to cool. When the squash has cooled, scoop out the flesh using a fork so that it separates into strands. Heat olive oil in a large skillet. Add the onion, garlic and bell pepper and cook till the onion is soft. Now add the squash strands along with the sea salt, pepper, cumin, chili powder, tomatoes, black beans, green chiles, grated zest and juice of the lime. Toss the mixture till it is well-combined. Cover the skillet and cook over a gentle heat for about 5-10 minutes. Sprinkle cilantro and garnish with lime wedges on top before serving. You can also garnish the spaghetti squash mixture with toasted pumpkin seeds before serving. Spaghetti squash is packed with nutrients like beta carotene, vitamins A and C. Try out this recipe for spaghetti squash halves stuffed with a mixture of turkey sausage, apple, raisins, mushroom and Parmesan cheese and topped with roasted pine nuts. Halve the squashes, lengthwise. Scoop out the seeds and discard them. Preheat oven to 375°F. Grease baking sheets with butter and place the squash halves cut side down on the sheet. Bake in a 375° oven for 45 minutes or until fork tender. In a skillet, combine the turkey sausage, onion, apples, mushroom, garlic and raisins and cook over a moderate heat till the meat is slightly browned. Add in the flour and stir. Pour in the soy sauce and bring to the boil. Continue cooking till the mixture thickens. Take off the heat. Meanwhile, check to see if the squash halves are done and then turn them over. Add 2 tablespoons of butter to each squash half and then fill in the meat mixture. Bake for a further 15 minutes. Top each half with cheese and bake for another 5 minutes or till the cheese melts. In a skillet, toast the pine nuts for 5 minutes. Sprinkle the toasted pine nuts on top of each squash half before serving. Instead of soy sauce you can use Teriyaki sauce for making the squash stuffing. Also, this recipe can be made with butternut squash, depending on one’s tastes. Spaghetti squash should be cooked till it is just tender but not mushy. To check for doneness, prick the squash with a fork – if you are able to insert the tines of the fork easily into the squash you will know that it has been cooked through. Prick the squash all over using a fork so that it does not burst during cooking. Pour 2 cups of water into the Crock Pot, and add the squash whole. Cover and cook on low for about 9 hours. Take out the squash from the Crock Pot and allow it to cool. Once it is cool enough to handle, cut the spaghetti squash open and scoop out the seeds. Use a fork to transfer the flesh from the squash halves into a bowl. Toss the spaghetti-like strands with the butter, salt, pepper and Parmesan cheese. You can toss the spaghetti squash strands in your favorite sauce for added taste.